Audi Philippines welcomes the Lunar New Year with the Audi Driving Weekend, wishing guests good luck and prosperous beginnings for the year ahead. Happening from January 21 to 22, 2017 at the Audi Pavilion, located at 30th Street corner 9th Avenue, Bonifacio Global City, Audi Philippines invites everyone to experience what the Ingolstadt, Germany-based luxury car brand is all about. 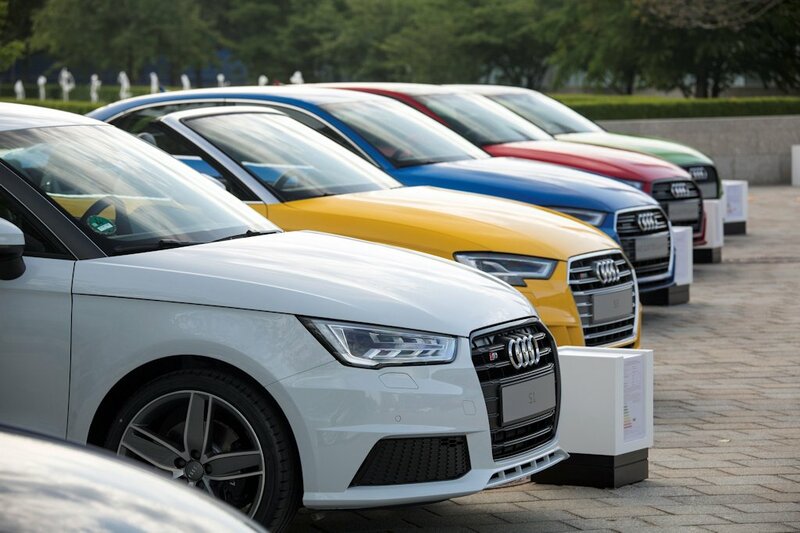 First off, the local Audi model lineup will be exhibited starting with the A1 (premium subcompact hatch), A3 (premium compact sedan), A4 (premium executive sedan), A5 (premium coupé), A6 (premium mid-size executive sedan), A7 (premium sportback), TT Coupé (premium sports car), Q3 (premium compact SUV), Q5 (premium mid-size SUV), to the brand’s flagship premium full-size SUV, the Q7. Guests can test drive these vehicles, or ride some of them and be driven by brothers Louie and Georges Ramirez through some challenging courses that showcase the power, safety, agility, and sure-footedness of Audis. There will be a tent dedicated to Audi Sport, which will display the Audi S3 (Car of the Year-Philippines’ 2016 Best Luxury Compact Car), the high-performance RS6, and the brand’s vaunted and much-loved supercar, the R8 V10 Plus. There will also be an Audi Top Service Tent, which will display Audi parts and accessories, and will have the men and women behind the brand’s aftersales department on hand for queries regarding the maintenance of Audi vehicles. Special offers with attractive financing options for selected Audis will be available, giving guests the opportunity to own a vehicle from their beloved brand much easier. Burgers and refreshments will be served, and Audi Lifestyle apparel and merchandise will be sold, completing the whole Audi experience for clients and fans alike. 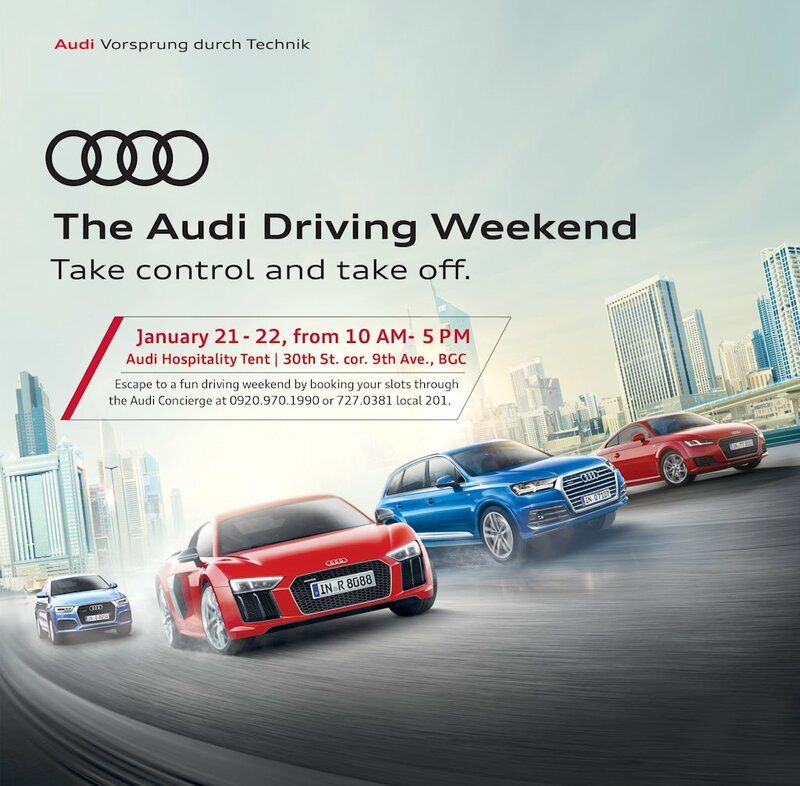 To know more about the Audi Driving Weekend, and to ensure the schedule of your test drive, inquire and reserve your slot now by calling the Audi Concierge at +639209701990 or +632-7270381 local 201.